The relative isolation of the Cape York Peninsula settlements does not mean that they lack facilities and interesting attractions for adventurous travellers. At the Cape itself, 1000km from Cairns, there is a remarkable range of accommodation and activities. The Injinoo Aboriginal community has an excellent wilderness lodge and camping ground just a five-minute walk from the Cape. Punsand Bay has a fishing lodge with air-conditioned cabins, safari tents and campsites and provides fishing excursions and a regular ferry service to Thursday Island. Seisia, around 15km south of the Cape, offers overnight stays in a lodge, villas or campsites and there are motor repair services. 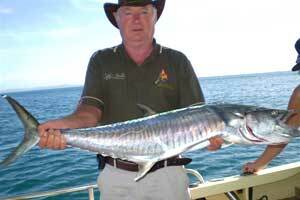 Several organised fishing and snorkelling tours available, led by local sport fishing gurus. Bamaga, 5km from Seisia, is the main northern community centre and supply base. It has a post office, bakery, fuel outlet and a pub and bottle store that also provides simple meals. The resort offers shared facilities and self-contained units plus a swimming pool, bar, meals and 4WD vehicle hire. 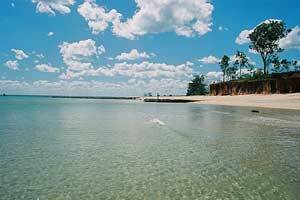 Umagico, 14km west of Bamaga, has a wilderness lodge with superb campsites on the beach and there is also a pub. New Mapoon, halfway down the west coast, has a fishing lodge providing rooms with shared facilities. Charter boats and fishing trips can be arranged. Weipa, on the Gulf of Carpentaria coast, is the main township on the peninsula. The local service centre has a car repair service, modern resort, hotel-motel and a pleasant camping ground near the beach. Tours run on certain days to the Comalco Bauxite Mine. River, estuary and sea fishing trips as well as scenic flights are available. Archer River near the entrance to Mungkan Kaanju National Park, has full roadhouse facilities, accommodation and fuel. Coen, on the Development Road near the bottom of the peninsula has a full range of normal tourist facilities and offers reliable information on the national parks. Laura, inland from Cooktown at the entrance to Lakefield National Park, has a post office, general store and internet service. There is an hotel, camping ground and a couple of well set up bush camps. Laura is the centre for guided tours of Quinkan rock art sites in the surrounding escarpment country.